Sometimes, the creative process resembles the Big Bang theory in its perfection: A precise combination of elements interacting, proceeding along a particular course, combining into something so explosive and spontaneous that it seems almost effortless. This accounts for how Montréal’s Gulfer could construct such a complex and colorful first full-length in a mere four months; titled What Gives, the album is the byproduct of a perfect series of imperfect circumstances. For bassist David Mitchell, though, the construction of What Gives felt frantic. 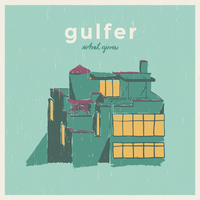 Having just returned from a US tour, Gulfer added guitarist Steven Whiteley to fill up their sound and immediately began to write their first full-length. “It was a lot for us,” Mitchell remembers, “especially with a new member. It definitely wasn’t a laid back, take-your-time kind of atmosphere [to write a record], but I don’t think that was negative. They were just the circumstances in which the LP was written.” These frantic circumstances brought the best out of the band, who used What Gives to explore the intersections of their influences. Songs like “Trim it Short” feature rubbery guitars whose synchronicity contrasts Vincent Ford’s coarse howl. Others, like “Altalalaval” showcase calmer, shimmering guitars and Whiteley’s mellow trumpet hovering overhead like a seabird riding the breeze. And still others, like “Getting Hit By Parked Cars,” flip playfully back and forth between nimble, scampering syncopation and noisy clouds of chords. What Gives displays the band’s ability to mix their mathier roots with emo’s slower, lush landscapes. This synthesis, Mitchell insists, could only have emerged during a manic time. 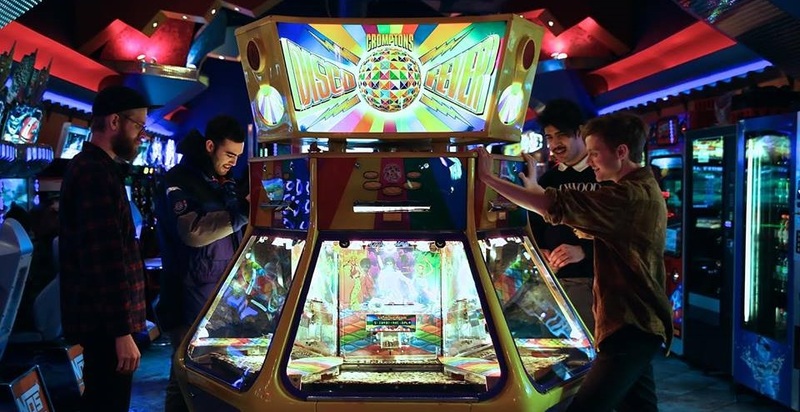 Instead of being debilitated by their busyness, Gulfer channelled it into equally intricate, challenging set of songs—one that not only reflects the frantic state of its creation, but whose creation was manufactured from its frantic state.